Thank you so much for the birthday wishes! I didn’t see it till now because I’m trying to spend less time on social media and more with my Weimaraner! Ellie is doing so great! She is really enjoying the summer (having everybody home). She loves catching mice and gophers. She had grown up to be a wonderful dog. Hope you guys are doing well and are out of the way from the fires. We are very proud of what the two of you have done together. Thank you for thinking of us on your summer vacation. We know school probably has started, and things are different around the house. Most likely Ellie is missing you a lot! 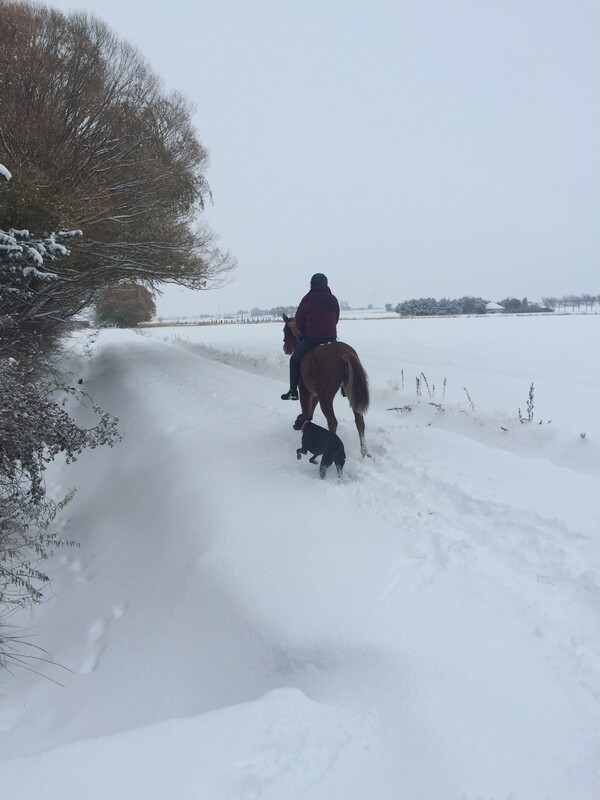 Note: We think this is a picturesque photo of Idaho, and girl with her Weim speaks volumes. 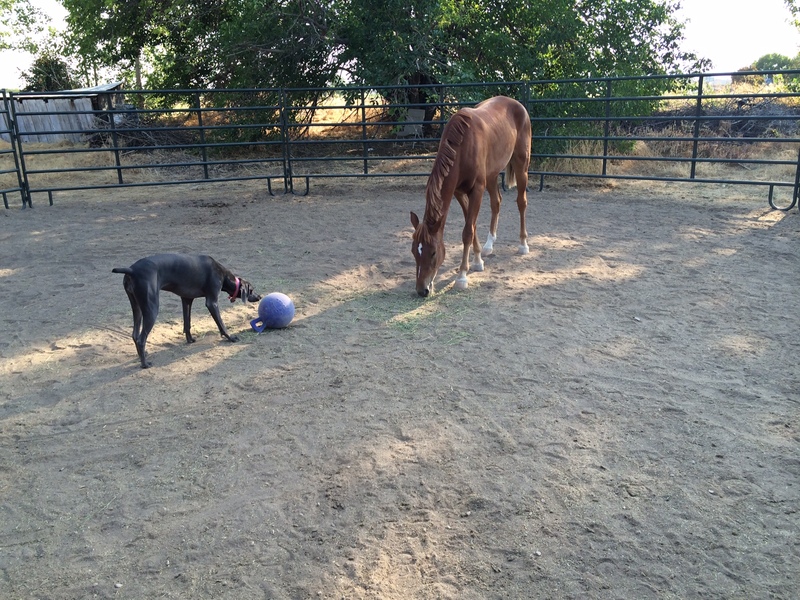 Not so long ago, we received this photo of the BLM rescue with Ellie. The email arrived on Friday, and it reflects our uncanny early Treasure Valley snowfall. How will the family cat fare? Breeder’s Comment: Ellie and other OwyheeStar Weims have done well with family (household) cats. They often will chase a feral cat out of their yard, but embrace the one they consider their own. Some cats will align with the household Weim; others watch from a distance. This kind of relationship is not a given. 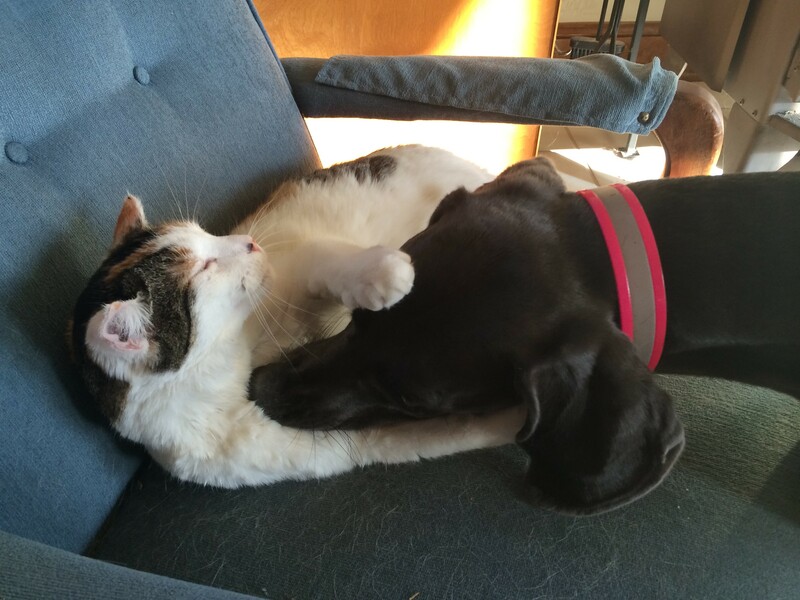 Most Weims that grow up with a household kitty will forge some kind of relationship. Introducing the new puppy to the kitty takes some skill, and supervision. Not every situation is the same. We suggest monitoring the situation; and making sure your kitty can find a place to escape the Weim’s vices. In Ellie and Sophia’s case, clearly that they have a sophisticated relationship.